We are sorry to say that we will not be hosting a fourth Craft-A-Way Camp this year. It’s been a difficult decision, and it’s one that pains us to share. We know our grownup summer camp has become a cherished annual tradition for many. We know it would have been a refreshing new adventure for others. And we had been excited about joining all those campers in the woods, for another weekend of crafting, laughing, and singing. But in a year that began with overwhelming family tragedy, we’ve had to revise our summer plans. We apologize for any disappointment this may cause, and we thank you for your understanding. At last summer’s camp, we spoke of having had a bad year. We shed a few tears over a flood, that had caused major damage to our home and belongings. But looking back: we really had no idea how bad a year could be. In January, Amy’s mother Annette passed away, following a rapid descent into Alzheimer’s disease. Amy had been responsible for her care, so Annette had played a major role in our daily life. Her absence is felt acutely. Just three weeks later, Amy’s brother died, after suffering a stroke. Michael was strong, active, and only 48 years old. His sudden passing came as a shock, not only to us, but to the entire city of Rockford, Michigan, where he was a beloved and dynamic community leader. Each of these tragedies was devastating. To experience both, in such rapid succession, has completely upended our world. All of our old certainties suddenly seem very fragile. 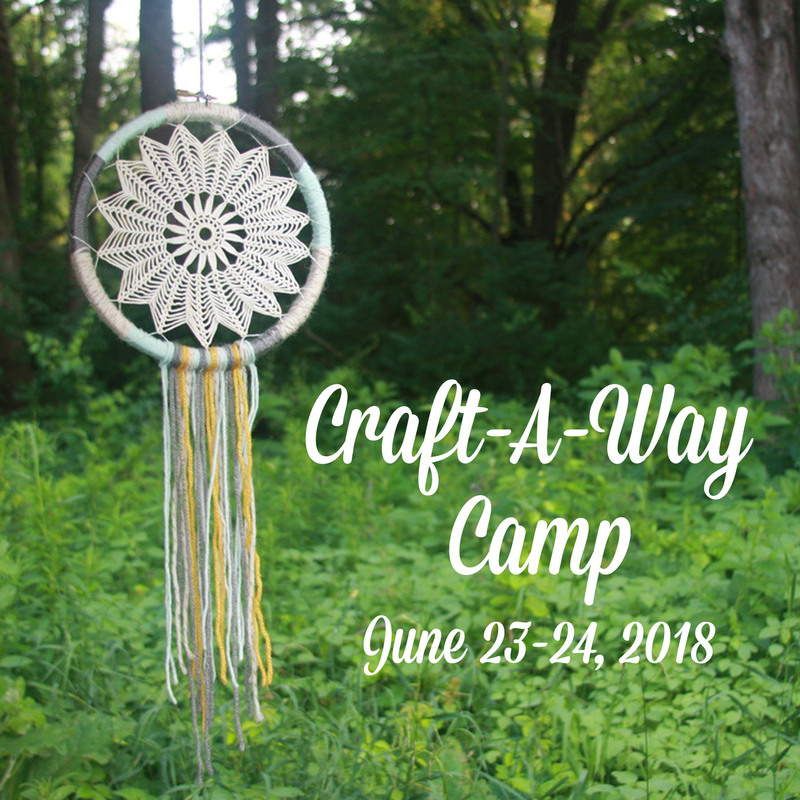 When we concluded, in last year’s recap, that “nothing will stop Craft-A-Way Camp from returning next summer,” we surely were not anticipating anything like this. Beyond the crafts and other camp activities, Craft-A-Way has always been about sharing an emotional bond. There’s something about stepping away from our routines, and gathering in the woods, that allows us all to let down our guard, and connect on a deeper level. Right now, that kind of connection is challenging for us. And it can be daunting for others. (Even the most casual conversation with Amy tends to end in tears these days.) It’s not fair to ask campers to spend a weekend dealing with our raw and difficult emotions. Camp is also about relaxing and having fun. But that carefree weekend is built on a foundation of hard work. This year, we aren’t able to give Craft-A-Way the effort it deserves. We’re finding that we need to devote all our time and energy to our family’s grieving process. Craft-A-Way Camp will not be back this year. But the green’s returning to the trees, and summer’s warmth is on its way. There are friends to hug, crafts to make, and sweet old songs to be sung. And over the past three years, we’ve seen that real magic can happen, when you bring those elements together. So go outside, pass the bottle, and wrap a few sticks in yarn. You just might find a trace of that familiar Craft-A-Way spirit. Peace be with you. Healing and working through grief is what is needed. Please feel supported as you make this wise decision to pause. For everything there is a season, and may this difficult one also become a time of grace for you and your family. All the crafty campy folks out here understand your disappointment, and ours meets your with care for your wholeness. When your vigor and creativity renew, we will be excited to join you in celebrating the newness. For now, we honor your struggle and grieve with you. Blessings.